You're starting to shed your old desires and notions of who you once wanted to be — if you feel like crying all the time, that's why! To allow this process to take place as painlessly as possible, let go of any judgment of yourself or others who appear to have what you want. Trust in yourself that you're the most perfect version of you. You may find it challenging to focus on your small successes this week, which makes you feel like the empire you’ve been building for so long is starting to crumble. Relax. Grab a glass of wine and don’t let anything set you back; you have the sustaining energy you need to get-'r-done! Past relationships may pay you a surprise visit. It might not happen in person, and it may be as subtle as having something suddenly remind you of him/her. Saturn will get personal with the moon this week, and will instigate old feelings of love and connection from your past. This is your chance to clear out any old resentful feelings from the past in order to free up your future love life. You may hear some nasty words this week, and yeah, it might be about you. You’re loyal and when you discover something shady is happening, you can’t keep your mouth shut. Don't hold back this week — you'll help bring justice to a situation by speaking up. A little tension in the workplace may arise, as your personal and professional needs seem at opposites. Balance needs to become your mantra this week, but keep in mind that balance starts in your mind. Manage your time wisely, and don't add anything more onto your plate. The full moon starts this week in your favor. The world will be particularly demanding this week, so feel free to hide at home and do some self-reflecting. Slow down. There’s a lot more working for you than you think, but keeping up to speed with it all is causing the stress. Make some breathing room in your life, and let the universe go to work for you. You feel impulsive this week, so make sure not to have too many credit cards on hand. You may attract others that are not part of your normal crowd, but those that become solid friends help keep your fire ignited in times you may feel like a wet puppy. You like having fun, but you're creating a lot of stress for yourself because all that playing isn't really helping you pay the bills. Try pulsing: Set your timer for 30 minutes, work diligently throughout, and then take a 15 minute break. Your motto this week is work as hard as you play. You will be learning a great deal about yourself this week, and you may feel afraid when you come face to face with aspects of yourself that you consider less desirable. But — remember — this is all for yourself. Whatever you don’t like this week, just start thinking about how you can improve it. You’ll go from liking yourself to loving yourself. This week is all about organization. You have your eyes on the prize, you’ve got a dream, and you’re hard at work achieve everything you've wanted. There’s a time for dreaming, but this week it’s all about painting by numbers. Stick to your to-do list and you’ll feel one step closer to achieving your goals. 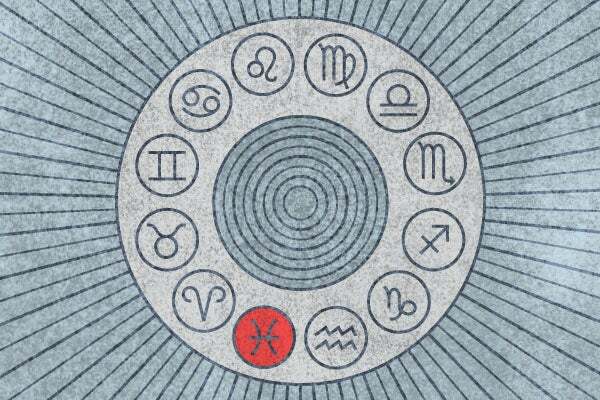 Your ruling planet, Uranus, brings a little tweak into your professional life. There may be a confrontation at work, and you might feel like lashing out. Heed caution, strong-willed Aquarius. Express your independent nature outside of the workplace this week. You may find yourself attracted to new people who aren't typically like the people you usually prefer hanging out with. It's this newness and freshness that attracts you. Go for the bold patterns and out-of-the-box approaches to your self-expression and allow the mantra “out with the old, in with the new” to help dress you in the morning. Check out Padma Maxwell for more!